Your MSP business needs to be appraised of what it is doing for your clients in terms of infrastructure. Roles are shifting, and as they do, so do the kinds of services you provide. In particular, consider the CIO, or Chief Information Officer. CIOs have historically been threatened by MSPs, whether or not they needed to be. Some see the MSP as overtaking their role, but what some are beginning to realize is that their role has substantially changed. The MSP is now seen as a helping hand. Where before, a CIO might have concerns pertaining to certain equipment, its management, its installation, troubleshooting it, testing it during operations–the regular suite of responsibilities generally associated with a CIO–modern innovations have shifted their core focus. Cloud computing has opened the door to remote operations, which facilitate BYOD. BYOD makes it so that entire offices can be outsourced, space put to better use or excised from the budget, and more. Internal server arrays can be outsourced to the cloud, and all functionality can be securely hosted from there. Ultimately, this results in substantial savings and even increased output through cutting-edge developments for many businesses. The CIO’s task becomes more managerial as these developments unveil because end-users have a greater kinship with customers than co-workers at this point. They’re remote and must be managed. Security is an especially pertinent concern. A related consideration here pertains to your own operation. MSPs are facilitating cloud computing solutions, but they are also employing them. While it is true that the majority of client issues can be resolved remotely either via outsourced help desks or your own solution, techs will sometimes still need to travel to client locations. For greatest cost-effective efficiency, they’re likely going to employ some remote tech that needs access to your system. Cloud computing can help you as much as it can many clients. Surrogate tech ‘bots are also making an entry into the tech scene to provide a sort of bridge between help desk support and physical maintenance. Again, solutions like that–which can be very lucrative–require competent management. Your CIO has to have a diversified experience portfolio that reflects him or her managing operations more similarly to a CEO than has been the trend. 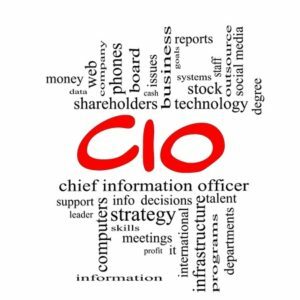 A good way to summarize it is that in today’s technology world, the role the CIO has could be defined as an internal technology CEO. There is a backhanded “silver lining” to this scenario. Since you are going to be encountering issues that are similar to your clients, in part, you can use your own operational experience to help you design services that will more effectively assist them. You can even use your own operations as a selling point. It also makes sense to keep an eye on other MSPs to see how they’re handling this shift in infrastructural management roles. What it’s likely to lead to is an increase in the cost of a CIO. Now, this individual has to juggle being a CEO with maintaining technology. Right now, CIOs average $162k+ annually. For startup companies, if your MSP business can provide the same kind of utility a CIO can for a fraction of the price, that’s a selling point. 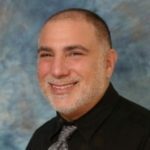 Joshua Liberman is the President and founder of Net Sciences Inc. (NSI). Joshua began working in the computer field in 1982, he founded Net Sciences in 1990 as PC services and incorporated the company in 1996. Starting as a Novell CNE and later becoming a Microsoft MCSE and CISSP, he has grown Net Sciences into a mid-sized IT support firm in Albuquerque, offering systems integration, MSP services and the most reliable IT solutions throughout New Mexico. Net Sciences has been providing an end-to-end network support to their clients, and a top-notch IT services for small businesses in Albuquerque. NSI is your virtual managed IT services provider in Albuquerque, assisting the planning, management and support you would get from your own IT staff at a fraction of the cost.